• The Chief Operating Officer (COO) will have day-to- day responsibility for overseeing the operations of a mixed portfolio of commercial and residential properties. The COO will manage the Leadership Team and company operations, with direct responsibility for the Property Management, Accounting and Human Resources departments, as well as providing temporary oversight as Regional Property Manager for a few properties. The COO will provide the leadership, management, and vision necessary to ensure the company has the proper operational controls, administrative and reporting procedures, and people in place to ensure financial strength and operating efficiency. The COO reports to the CEO. Oversee all aspects of the company’s accounting function, including tax auditing and financial reporting. Ensure all accounting records are accurate, complete and in accordance with GAAP. Assist Property Managers and the Accounting department in setting and adhering to property budgets and profit goals. Actively participate in the acquisition due diligence process, including involvement inthe management portion of the underwriting process. Oversee collaboration between Commercial Property Management, Residential Property Management, Accounting, and Construction and Development departments to insure the highest level of customer service is provided to both clients and property tenants. Evaluate and provide timely and accurate analysis of budgets, financial reports andfinancial trends to the Managing Partners. Ensure continual improvement of the budgeting process by educating department Managers and employees on financial issues impacting department budgets. Be the financial advisor on any contracts into which the company may enter. Provide complete oversight of all property income and expenses. Interview, hire, and train employees. Interview and hire outsourcing functions. Plan, assign, and direct work. Address complaints and resolve issues. 8+ years of experience as a Senior Property Manager or similar position. 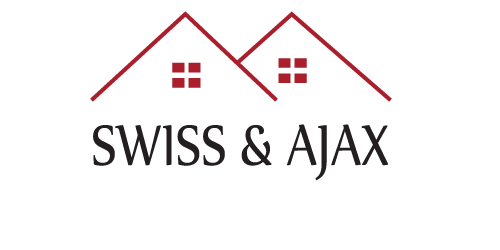 5+ years of experience in the Real Estate industry. 2+ years of Human Resources experience. Experience leading and developing a cohesive team, with proven results. Thorough understanding of budgeting, accounting and financial reporting and analysis. Strong analytical skills and abilities, including experience with strategic management and financial analysis tools. Demonstrated success in understanding and presenting complex business issues and identifying creative solutions. Strong interpersonal skills; ability to communicate effectively and manage at all levels of the organization. Able to effectively assess ongoing progress, communicate results clearly, and use data to create goals and make informative decisions. Excellent computer skills, including Microsoft Office experience, specifically Outlook and Excel. Bachelor’s Degree required, MBA preferred, or equivalent combination of education and experience. Due date for applying: August 26th, 2016.